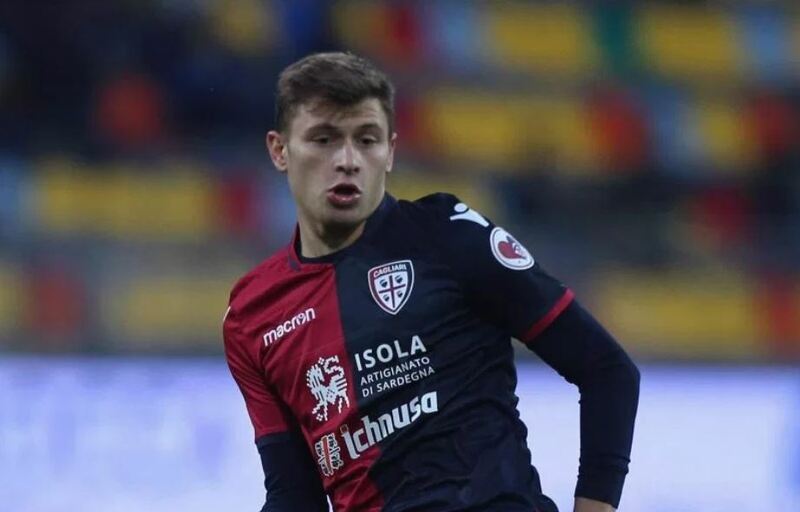 Cagliari midfielder Nicolo Barella has revealed why his proposed transfer to Chelsea didn’t materialise in the January transfer window. The Express claim that Barella was high up on Chelsea’s wishlist for the winter, with Cesc Fabregas calling time on his career at Stamford Bridge and linking up with Thierry Henry in Monaco. Fabregas had not been starting often under Maurizio Sarri, but his departure left Jorginho as the only player who can naturally distribute from deep in the Chelsea midfield. With a like-for-like replacement proving hard to come by, Sarri has instead used Mateo Kovacic in that role – but things could have been different, had Barella been successfully recruited. It does appear as though we were wasting our time going after the 22-year-old, however, who clearly had no intention of leaving Cagliari half-way through the Serie A campaign. It is unclear whether Chelsea will try again to sign the midfielder, if our interest was genuine in the first place, that is. While Barella has the capability to play deep, he would also be suitable for the other two midfield positions, meaning his arrival could further limit Ruben Loftus-Cheek’s game-time. No matter how good Barella may become, Ruben is one of our own and needs all the minutes on the pitch he can get. We’d prefer to see more faith placed in him, rather than Sarri looking to the transfer market.